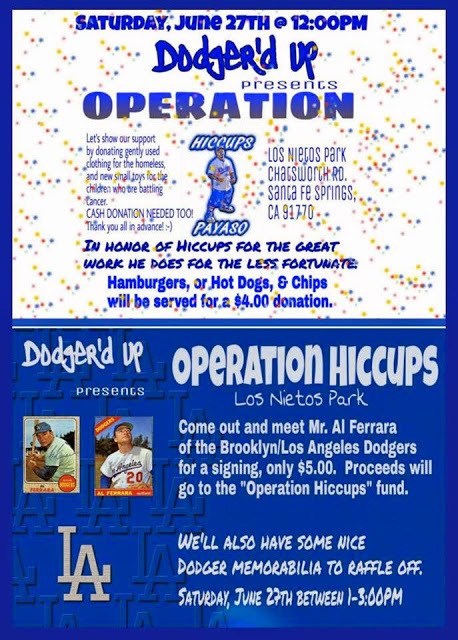 Former Dodger Al Ferrera, in benefit of Operation Hiccup, will meet with fans at Los Nietos Park in Santa Fe Springs this coming Saturday from 1:00 PM to 3:00 PM. Check out the flyer below. Autographs with a $5.00 donation. Hat Tip: Vin Scully is My Homeboy.